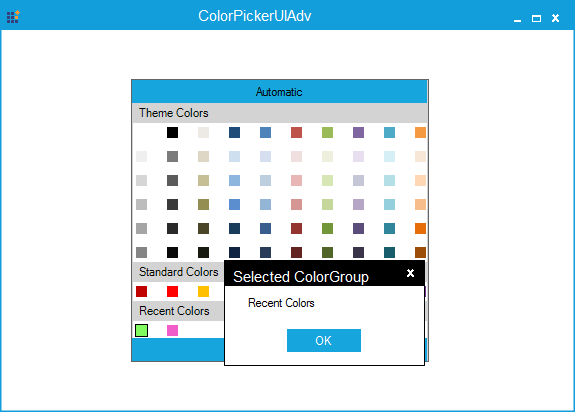 How to get the color group for the selected item in ColorPickerUIAdv? 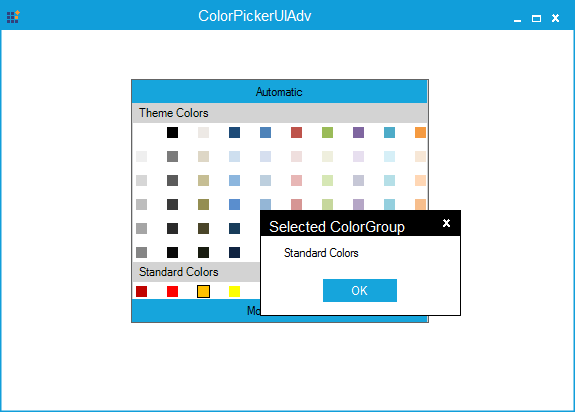 In the ColorPickerUIAdv, you can get the color group for the selected item by using the Picked event handler. 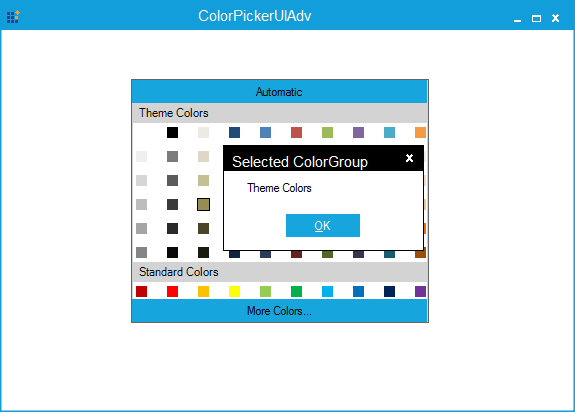 The property, ActiveGroup helps to get the color group of the selected item in the ColorPickerUIAdv.